I used to like Anime and Manga alot. But since I watched Gokusen Live-Action (which was aired here in the Philippines last year),I adored MatsuJun and hence, the beginning of the addiction. I love JPop, mostly Johnny's Entertainment music. 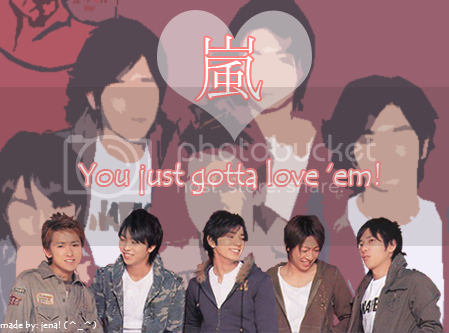 My favorite groups are Arashi and NewS. Oh, and since I'm a fangirl, expect a loooot of fangirling. XD My posts will mostly consist of fangirl-y stuff! If you don't like that...then please refrain from reading.